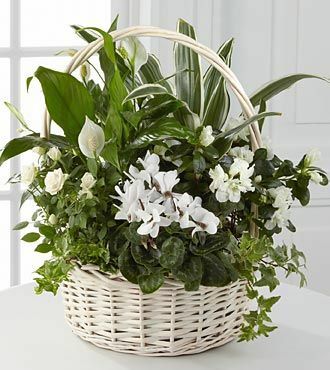 Each school year brings a new teacher for your kids so it’s the perfect time to start off on the right foot with the teacher by welcoming them with a special gift of flowers or gift basket. 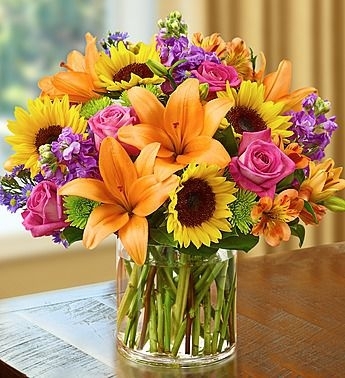 Epic Garden Joy is a stunning garden-style flower arrangement of sunflowers, lilies, and roses in a glass vase. It’s like bringing the summer indoors where a teacher can smile every time they see it perched on the end of their desk. 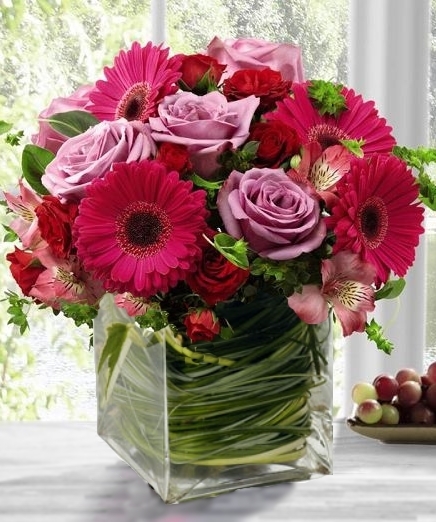 The Fanciful Garden Cube may be compact but it is overflowing with color, including pink and fuchsia gerbera daisies and garden roses. Pastel Palette offers a delicate and soft display of garden hydrangea and roses in a bubble bowl. It’s another stunning flower arrangement sure to please any teacher. The Colorburst Bouquet has Asiatic lilies, tulips, garden roses and southern hydrangea in a glass vase. 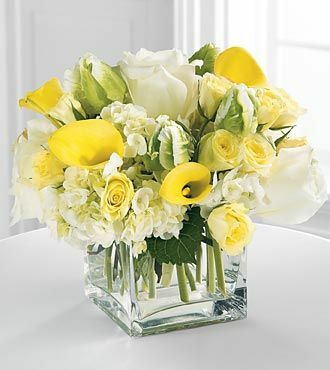 The Wishes and Blessings Bouquet is another compact arrangement that is bursting with color, including yellow garden roses, along with sophisticated white florals in the form of hydrangea. The Perfect Peace Dish Garden offers something decidedly different and long-lasting that your child’s teacher could enjoy for months to come. It has many seasonal plants direct from our greenhouse and offers an array of textures. While we offer many types of gift baskets, including those with gourmet goodies and fruit, it’s hard to imagine there would be any teacher who wouldn’t love coffee. 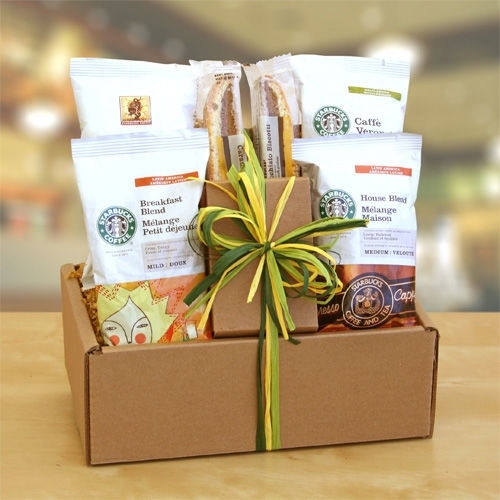 The Starbucks Sampler has its Breakfast Blend, House Blend, Caffe Verona or Sumatra and biscotti in a basket. Even better is the fact that many of these choices are now on sale while supplies last. You can swing by any of our Atlanta flower shops and pick them up or you can have them delivered to the local Atlanta area school for added convenience. We can also put together a custom flower arrangement or you can shop our plants and other special gifts at any of our Atlanta flower shops.